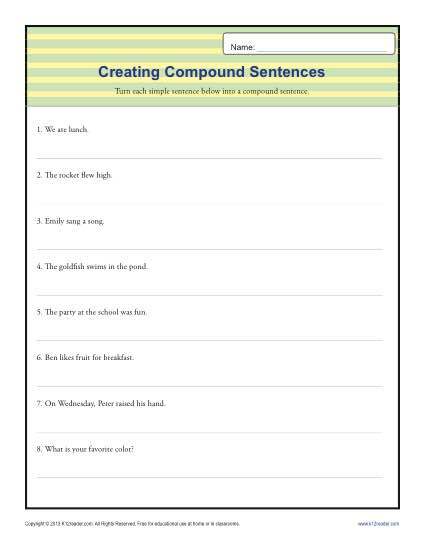 In this worksheet, your student will take a simple sentence and expand it into a compound sentence. It’s a good way to learn about sentence structure, as well as practice Common Core Standards for Literacy for 1 through 3rd grades. Other students may also use it as needed.